We refill toner cartridges upto cosumer's satisfaction . 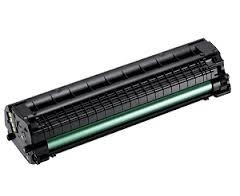 Our refill of toner cartridge includes free replacement of drum/rubber roller/blades and any other parts of the cartridges with optimun quality and output. To know more about our product quality get atleast one cartridge refilled by us. Printing is a critical function for any business, large, medium or small but it doesn't have to be a costly function. Lost time due to ink, toner or paper running out and staff having to leave the office to get more stock of printer cartridges can impact productivity and profit. Cartridge World is your one stop shop for all your printer needs and can help you to lower your printing costs. Due to our expertise of this industry, our firm is involved in rendering Toner Refilling. These services are accomplished by industry certified experts, who have prosperous understanding of this area. After completing the services, professionals also check our service on varied industry parameters to attain the client’s approval. We are the most prominent firm trading in best quality Copier Refill. it is light in weight and easy to use. We are providing Toner refilling for HP Laser Jet , which is the practice of refilling empty laser printer toner cartridges with new toner powder. This enables the cartridge to be reused, saving the cost of a complete new cartridge and the impact of the waste and disposal of the old one. Being a leading firm in this industry, we are offering a high quality range of Refill Toner Powder. Cost Saving, Excellent Low Rates: Unquestionably, cost is the principal advantage of our toner refill products. Save as much as 80% off the retail price of a brand new, OEM print cartridge. Toner refilling is the practice of refilling empty laser printer toner cartridges with new toner powder. This enables the cartridge to be reused, saving the cost of a complete new cartridge and the impact of the waste and disposal of the old one. - Refilling and reuse by the end user. In the way of toner refilling, we completely disassemble the toner, thoroughly clean the toner & replace all worn out components before filling it with toner ink.